Objective Research and interventions targeting the relationship between work, its attendant occupational hazards, and obesity are evolving but merit further consideration in the public health arena. In this discussion paper, conceptual heuristic models are described examining the role of obesity as both a risk factor and health outcome in the occupational setting.  Methods PubMed was searched using specific criteria from 2000 and onwards for evidence to support conceptual models in which obesity serves as a risk factor for occupational disease or an outcome of occupational exposures. Nine models are presented: four where obesity is a risk factor and five where it is an adverse effect. Results A broad range of work-related health effects are associated with obesity including musculoskeletal disorders, asthma, liver disease, and cardiovascular disease, among others. Obesity can be associated with occupational hazards such as shift work, sedentary work, job stress, and exposure to some chemicals. Conclusion Identification of combinations of risk factors pertinent to obesity in the occupational environment will provide important guidance for research and prevention.